Welcome to the Creating from the Heart Academy! Have you ever been confused on how to use stamps, papers, and tools once you purchased them? Do you want to start stamping but don't know where to start? 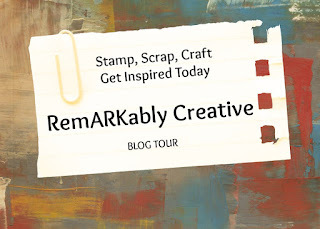 Do you just want to see how someone used a product to help jumpstart your creativity! Well you are in the right place. Hello, my name is Candice Fields and I am an Independent Close To My Heart Consultant. I was once where you are; and in many ways, I still am. I discovered by love for paper crafts in 2010 after a major snow storm hit the Northeast. Don't ever get stuck at home with kids and there's nothing to do! After finding out there was going to be another major storm, I went to my local craft store for some supplies and my love for crafting was born. I found myself into the craft projects more than my own child. After I started this wonderful hobby, I found myself stuck on what to do, how to use products and make my projects pretty. I did what we all end up doing. I went on YouTube and different blogs to try to figure out how to stamp and create various projects. Next thing I knew, I had a craft room full of products that I had no idea what to do with and ended up collecting dust. My first mistake was trying to copy everyone else rather than finding my own style. Now I know to when I find a card or scrapbook layout I like, use it as inspiration for creating my own project. You may like the layout of a card and I want to recreate the layout using different embellishments. After a couple of years of trying to find my style, I finding know what works for me. I do continue to try to challenge myself with new techniques, but I like to keep projects short and sweet. Throughout the years, I have joined stamping companies and kit clubs, just to be frustrated with creating projects. Now that I am finding my crafting voice, I decided to re-join Close To My Heart and it's been the best decision I have ever made. It is through rediscovering Close To My Heart where I decide to open up the Creating From The Heart Academy. 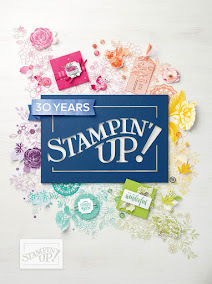 I am here to teach some tips and tricks I have learned throughout my stamping journey. I want to share how I am incorporating Close To My Heart products into my crafting. Lastly, I want to be on this journey with you and learn new techniques so we all can become better crafters. Can I find you on Pinterest.com?